Eric is a 2012 graduate of Grove City College. 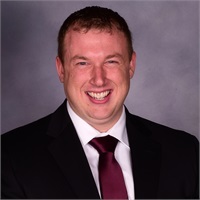 Prior to joining Cashdollar & Associates in September of 2018, Eric had 6 years of experience in the financial and accounting industries. He became a Registered Paraplanner through the College of Financial Planning in October of 2018. Eric also passed the Series 6 Exam in February 2019. Outside of the office, Eric volunteers for several different organizations in the community.